Whether you're getting ready for the first day or wrapping up report card comments, our editors have gathered our very best resources to help support you during this exciting moment in your career! Tips and resources for a successful first day! Get help with disciplining your students, lesson methodologies, the first day of school, maintaining both authority and fairness, assessing your students' work, teaching English-language learners and students with special needs, forming a relationship with parents, and more. You'll also find printable forms, awards, and graphic organizers to help you in planning your lessons and your curriculum for the whole year. 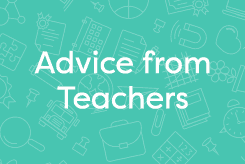 Check our tips and suggestions for new teachers in these resources including teaching hints your first year, how to manage behavior, collaborating with parents, and much more. Use these resources to help your first year begin in a positive and stress-free way. Includes ideas to be prepared before the year starts, activities for the first day, and much more. Creating a workable and positive classroom atmosphere is easy using our resources. Includes tips on securing supplies, classroom arrangement and organization, along with ideas for bulletin boards. Choose from these different pre-made forms to help you when a student needs a pass out of class, or you need help organizing grades or lesson plans. Some forms are customizable. These resources include advice on planning from veteran teachers, help structuring lessons and lesson plans, as well as organizational tips. Behavior management will be less of a concern with our resources including creating rules, classroom management strategies, advice for implementing, and much more. Learn about assessment vs. evaluation, rubrics, scantrons, and more using our resources for new teachers. You will be guided through principles that address accommodations and modifications with a printable checklist to help with IEPs with these resources. 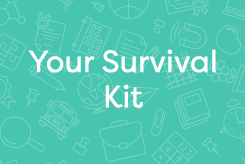 As a new teacher, use our resources to learn how to interact with parents and help you achieve parent involvement in your classroom which ultimately leads to student success. Articles on the effectiveness of homework and how much to give, along with a customizable and organizational homework checklist, are among the resources to choose from in this section. If you enjoyed these resources for New Teachers, click the links below on our resources for other informative articles to help you teach effectively. Practical information and guidelines to help you provide services to students with a variety of learning difficulties for whom English is a second language. Browse through our resources, Dealing with Social/Emotional Issues, to find helpful articles and useful classroom activities such as resolving conflict. All teachers, but especially new teachers, will find these Teaching Methods and Strategies resources very helpful in setting up and structuring your lessons and classroom.